Pair of silver plated Wall Sconces. 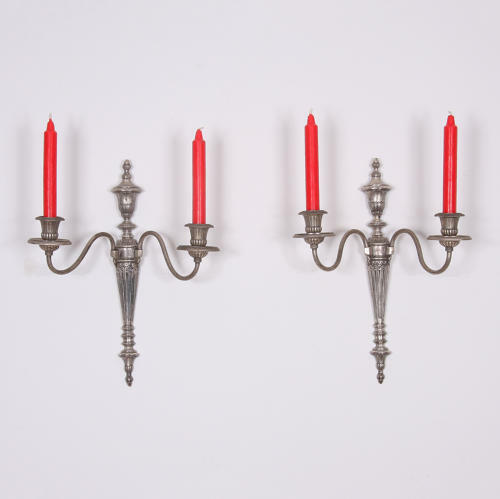 A lovely pair of silver plated metal wall sconces with a fantastic patina to the plating. Shown here with red wax candles but these can be wired upon request.